Bruce W Hardy is an Assistant Professor in the Department of Strategic Communication at Temple University. Prior to joining Temple in July 2015, he held positions at the University of Pennsylvania and Louisiana State University. His research focuses on political, science, and health communication; knowledge acquisition, opinion formation, and behavior; emergent technologies and society; and advanced research methods. Dr. Hardy’s research has been published in numerous academic journals including Proceedings of the National Academy of Science, Public Opinion Quarterly, Journal of Communication, Communication Theory, Journal of Broadcasting & Electronic Media, and American Politics Research. His research has won national and international scholarly awards from the American Publishers Association, the International Communication Association, and the National Communication Association. 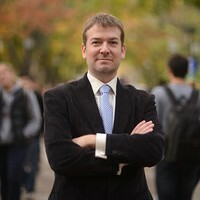 Dr. Hardy is also a Distinguished Research Fellow with the University of Pennsylvania’s Annenberg Public Policy Center.